The Walmart gift cards and information in this post have been provided by P&G. Walmart carries a wonderful assortment of Children's Miracle Network products, such as baby shampoo, diaper ointment, and sweet baby gift sets. Walmart is a proud partner of Children's Miracle Network, believing that every child deserves the chance to live a better life. If you're not sure what Children's Miracle Network products to purchase, you can always browse by brand — we carry popular items from Johnson & Johnson, PediaSure and Pampers (Goooo Pampers!). Getting your baby's essentials at Walmart ensures that your little one will be happy and healthy at every stage of their growth- and your pocketbook will be happy, too! If you're a new or soon-to-be mother seeking parental advice, head on over to the Every Little Step Parent and Baby Center. At Every Little Step, you'll find advice on everything from how to take memorable maternity photos to essential breastfeeding basics. We've got tons of useful tips for new moms — and dads, too! In addition to offering great info for parents, Every Little Step is a terrific one-stop baby shop. You can browse our sweet selection of baby clothing, baby gear and other baby essentials. We were recently sent a Walmart gift cars so that we could pick up some Pampers Swaddlers! Pampers Swaddlers are the BEST diapers for our 2 year old son, and knowing that when we purchase these diapers from Walmart that Pampers has partnered with them to donate $200,000 to CMN this month! As a three-sport athlete — competing in football, basketball and baseball — Darius’ annual physical exam seemed a simple formality. But at age 14, doctors at a free Student Heart Check held by Beaumont Children’s Hospital discovered a thickened heart muscle, known as hypertrophic cardiomyopathy — the leading cause of sudden cardiac death in young athletes. 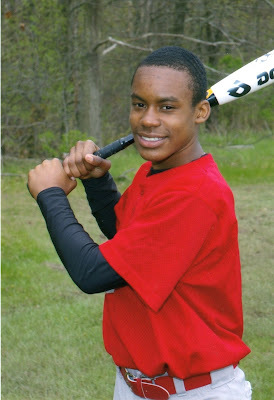 Darius was forced to give up many sports he loves, but he doesn’t let that slow him down. An entrepreneur at heart, Darius is always finding unique ways to make money to pay for college and enjoys working on remodeling projects with his dad. Darius and his family volunteer at all of Beaumont’s Student Heart Check screening events and help bring awareness to the risks of sudden cardiac arrest and the importance of screening via local news media interviews. Darius hopes to pursue a career in pharmacy or become an echo technician to give back to the medical community that saved his life. Get Earth Friendly with Cariloha! Let it GLOW! Keep them safe.